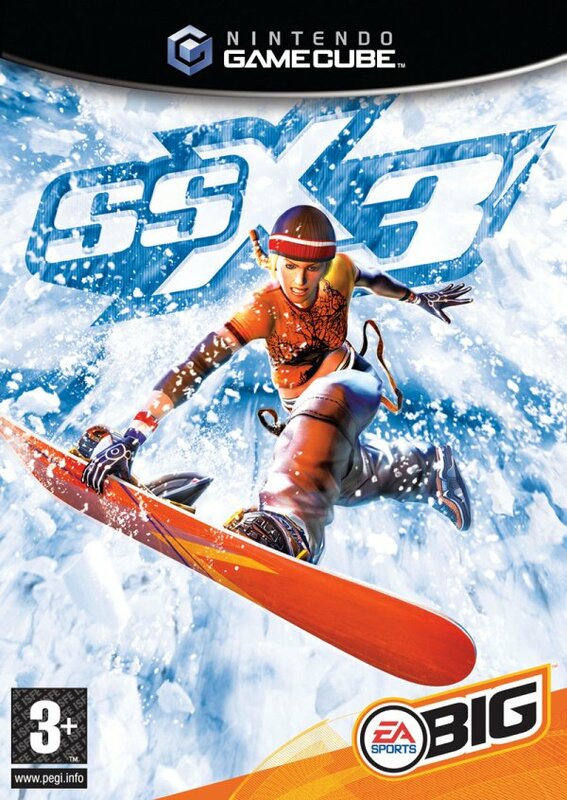 SSX3 is the 3rd instalment in EA’s series of break neck snowboard super cross games, it’s the best one to date. 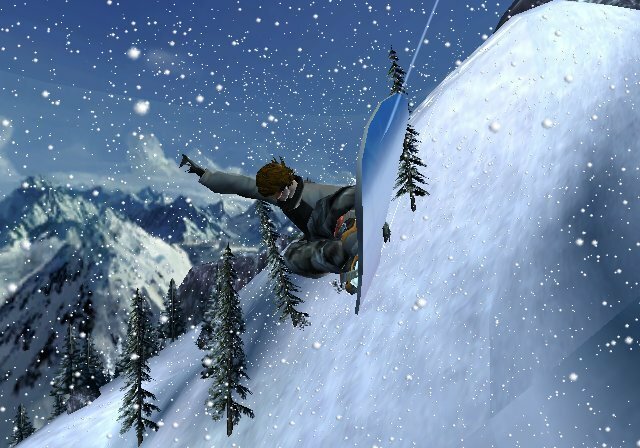 This is one of the few snowboarding games that are on GCN. The 2 main events in this game are tricks and races, both are highly addictive. In the previous games you had a menu to select your races, that’s the norm in most these games. 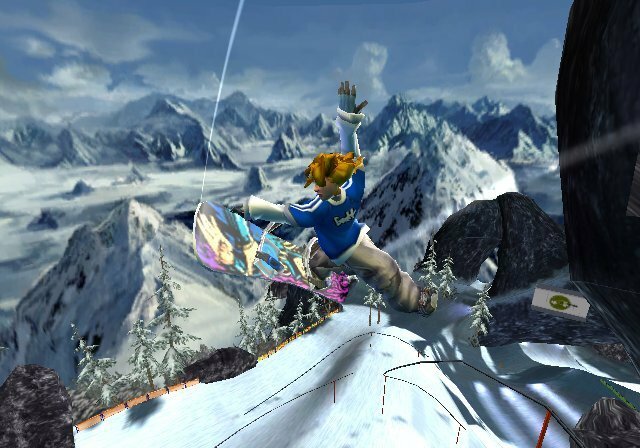 SSX3 has a major difference, you were basically dropped off at the top of a mountain and then had to board your way towards each event... by mountain, I mean mountain. It would take around 8-10 mins to traverse your way down each peak, that’s impressive. If you are boring you can opt to use a traditional style menu to select events, the game caters for every user. As you progress through the game slopes will get more and more insane, at the end of the game you board on glaciers as they collapse and try to escape avalanches. So how does it play? ... like a snow dream! The controls are simplistic, analogue stick controls the movement of your character realistically. Pull the stick back sharply and your character will turn and dig their edges into the slope, tilt lightly and watch them gracefully carve down the slope. Holding the A button will charge your character for jumps, release it at the edge and get ready to perform some insane tricks. The D-pad will control one of the 8 directions your character is able to rotate, whilst other buttons tweak and grab the board during the trick. For each trick you pull off you get more boost and bigger air time until you are able to do Uber Tricks that, well, are incomprehensible. The texture surfaces for snow in the game is highly realistic with the 3 types being snow, ice and powder. The controls are accurate on these textures and you get a good feel for the boarding experience. But it becomes the opposite if it’s anything involving tricks. You can grind long distances over pipes, board on rooftops and even go through the window of an office block. Some wipe-outs you get are highly lethal, so please don’t try these at home kids. Each character has a career mode for the solo player events. You earn cash from finding big glowing snowflakes on slopes and winning events. Cash of course means upgrades, upgrades = good. You can upgrade the skills of your boarder or even buy them items of clothing, spend it on whatever you want. The single player game isn’t just as basic as this, each character has a personality and another boarder who clashes with this personality. If your rival sees you on the slope they will try to take you out and always try to best you with snide comments. This system isn’t static as well, if you keep knocking other people down on the slopes they will get pissed off and seek revenge. Just don’t start anything you’re not going to finish. The music is rich and diverse, fans of Tricky won’t find it as good as its previous instalment but there is something for everyone. Commentary is present as ever so you won’t be without the latest news on the slope. The visuals are lovely, the mountain is rich and vast in scenery and weather effects are the icing on the cake. 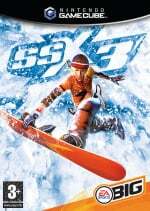 This is my personal favourite SSX game, don’t get SSX: On Tour as they took out everything that made it good. If you are a fan of extreme sports give it a whirl, there should be no reason not to like it. SSX3 is a casual game most people will find it easy to pick up and play in seconds, very cheap to get hold of one now. Well worth giving this game a try. This is outstanding. One of the finest games of the last generation, in a any format. I'm now on my third copy.